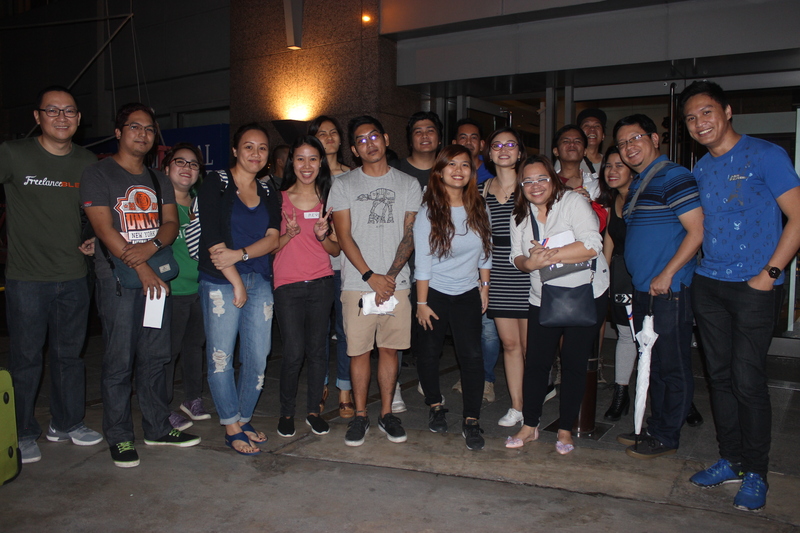 It’s already Wednesday and I am still hung-over from the tremendous turnout during our box office-smashing Creatives + Entreps Mixer last Saturday, August 26. 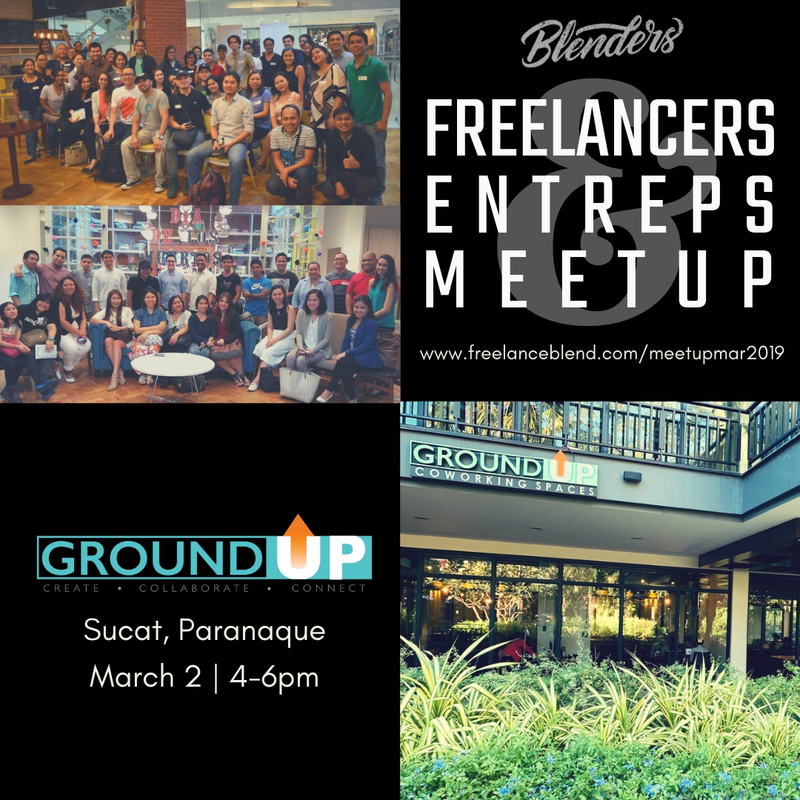 This is only our 5th meetup of the year, not our usual monthly meetups that we did last year, because of many things happening in my business these days. 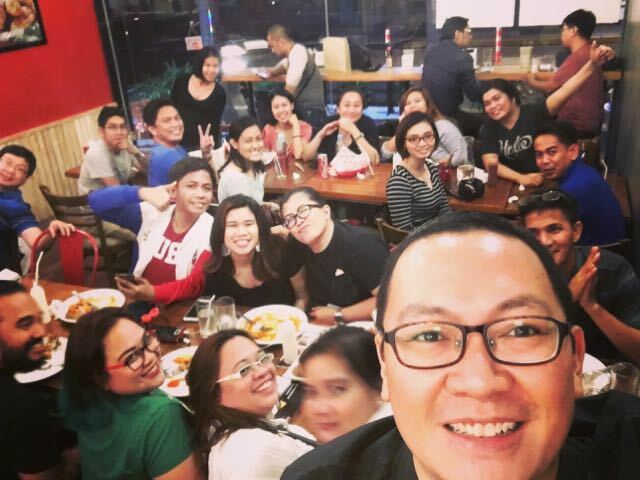 If you didn’t know, meetups have been in the DNA of Freelance Blend, in fact, that’s how I started we…from a small gathering in a coffee shop in Makati, 3 years ago that turned Freelance Blend into what it is right now — a thriving community of Filipino freelancers who are out to make a difference in this world. But last Saturday was different. First, we were in a bigger space now. 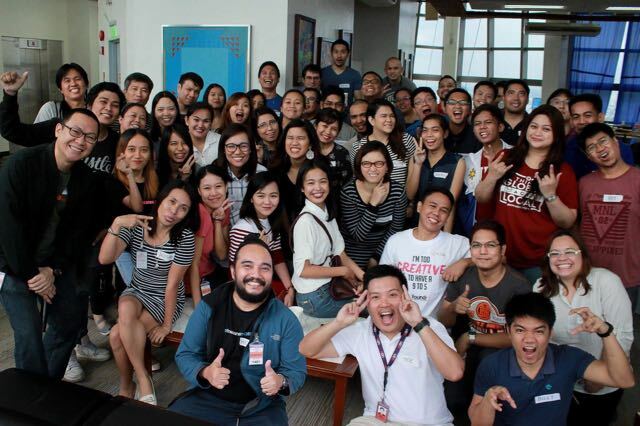 The past few meetups, I had to close the registration a few days prior to the event because we’ve maxed out the area of the co-working spaces that we partnered with — namely The Study by Enderun and vOffice. And as I said earlier, we even used to hold our meetups in small coffee shops. This time, our newest partner, Eon Bank, provided us with a large venue that can accommodate a huge number of people. And good thing that we did that, because despite the bigger space, we still packed venue! 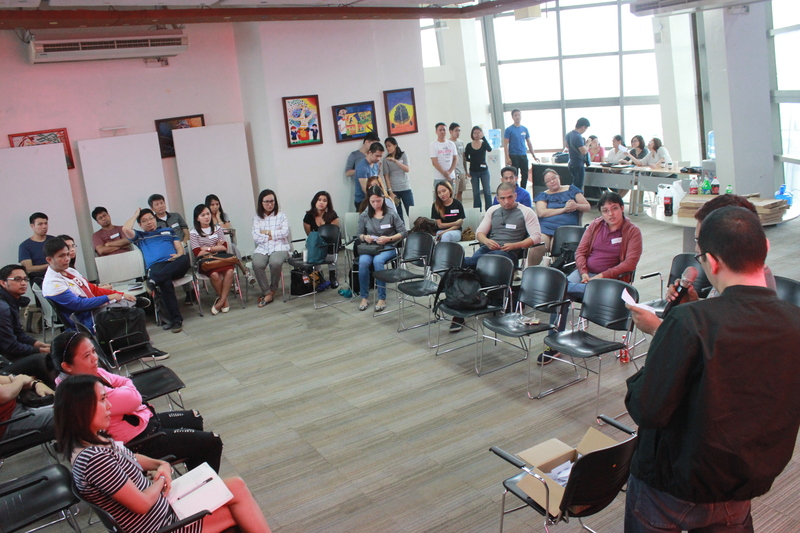 Second, having a larger attendee base means more people to learn from and to meet. 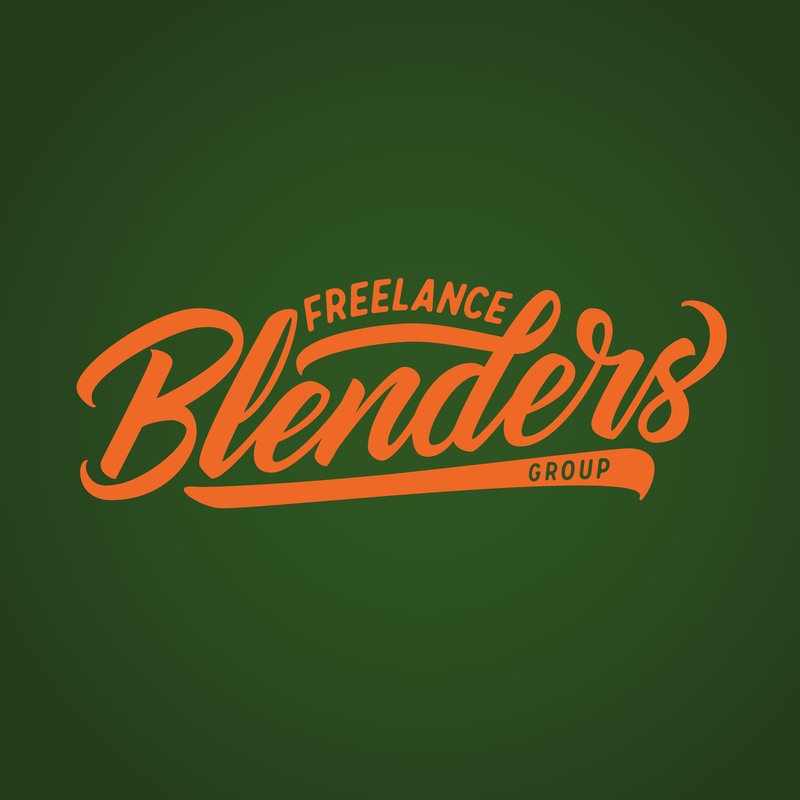 Third, while I was about to wrap up the meetup, I thought of asking if anybody would like to volunteer and share what they have to offer to the group. You see, for previous meetups, every single attendee had the chance to speak up and share because the group was not that big and we had enough time. For this meetup, because of the bigger audience, we had to do a lottery system and pick names from a box. The name we picked had 5 minutes to share on stage. This time, to be fair to those who were not picked, I asked for a volunteer. But, lo and behold, this young girl raised her hand enthusiastically! (To be honest, I thought she was the child of one of our attendees). 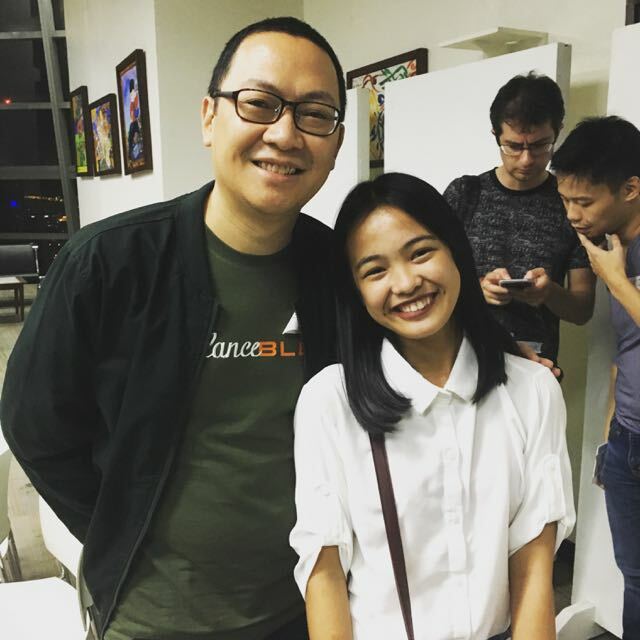 Turns out, this 17-year old, energetic, young lady is a freelance writer herself who pays for her own tuition from her freelance gigs. She is so freaking amazing! Everyone in the room was shocked and surprised! Lastly, when we all left the venue, I thought everyone will go their separate ways. I was tired and hungry and asked a few people if they would like to join me for dinner. What started with a few people turned into a mass of people. You should have seen the groups of people taking selfies and groufies outside the Union Bank building. When we walked to look for a restaurant, everyone followed. I felt like the Pied Piper then. So we all had dinner in this restaurant called Big Daddy behind Unionbank. It seems that they were not ready for the deluge of people that Saturday night. Good thing that we fit perfectly inside the restaurant. And that’s when we called that dinner as the “Meetup After The Meetup”. It gave everyone the chance to really talk and get to know one another even better. We were a bit more relaxed then than at the meetup so the conversations were more fun and meaningful. I earn a fresh new batch of friends every single time. Imagine, we were strangers right before the meetup started. Then we walked out as friends. Where else can you experience that? Hope to see you at the next one and let’s be friends! For the 2nd straight year, I will be hosting the biggest freelancing event of the year — The Freelancer Fair 2017 — this Saturday (September 2nd) at the Bayanihan Center in Pasig.